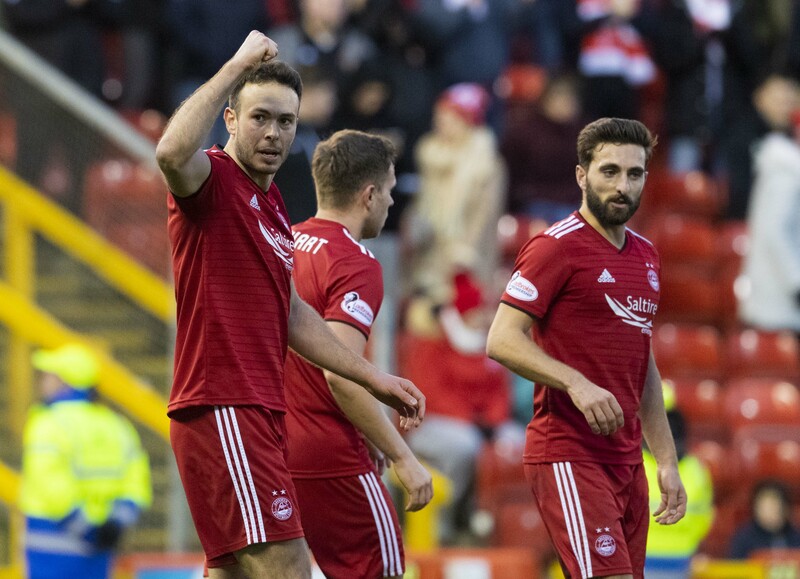 Niall McGinn and Stephen Dobbie traded goals at the start of the second half, before Andy Considine’s header and a brace from Sam Cosgrove ensured safe progress. The Dons will await their opponents in the draw for the last eight, which takes place on Monday night. Scott McKenna missed out through suspension for the Dons, with Stevie May coming in as the only change. A try at an early opener was made from the home side, with a Shay Logan header from Max Lowe’s cross at the eight minute mark. And a long range strike from Queens’ Jordan Marshall nine minutes before the interval proved both sides were more than eager for that first goal in an uneventful first half. However, after a slow start the game made a quick turnaround. It was Aberdeen that struck first just one minute into the second half, thanks to Sam Cosgrove and Greg Stewart. A pass from Cosgrove allowed McGinn to net into an unguarded goal. Responding well to an aggressive Dons side, Dobbie gave Queens their goal with a spectacular strike from 30 yards that rasped into the top corner. Andy Considine put Aberdeen in front in the second half. The Reds wasted little time on restoring the lead, as Considine headed in from McGinn’s corner. Cosgrove opened his account on 67 minutes, finishing from McGinn’s cross. On 73 minutes Cosgrove got his second of the game, with a penalty being given after Andrew Stirling was adjuged to have blocked a cross from Logan with his arm. Cosgrove rolled the penalty underneath Alan Martin for the fourth. 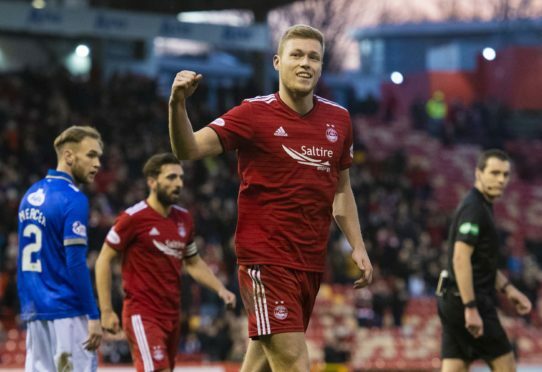 The former Carlisle United striker missed the chance to grab his first career hat-trick, skying when Mackay-Steven squared to him, but it mattered little as the Dons progressed to the last eight.